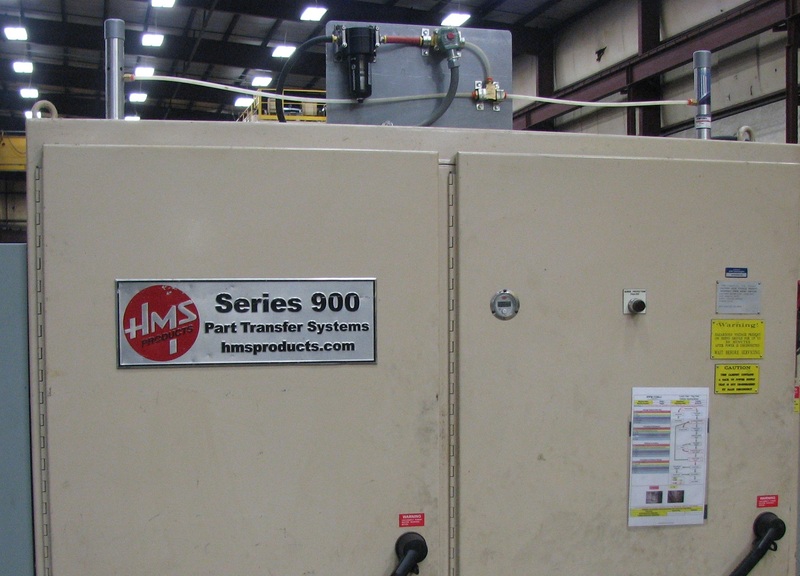 A large manufacturer of automated spraying equipment was having problems keeping their equipment’s control panels protected from air borne mists and internal heat generated from the electronics. The filter fans they used in most installations could not keep out the ultra-fine air borne mists which would over time settle on the electronics and cause failures. Switching from filter fans to closed-loop Freon air conditioners protected the manufacturer’s panels, however the A/Cs would eventually fail as the mist (and dirt) were drawn into the condenser coil, causing excessive head pressures leading to expensive compressor failures. The manufacturer called Vortec looking for a solution that would allow them to keep their control panel sealed and slightly pressurized to protect their electronics from the air borne mist and internal heat. Vortec’s application engineer recommended a NEMA 4 model 787 Vortex Enclosure Cooling system controlled with a pressure regulator. The spraying equipment field service rep determines and sets the 787’s operating pressure with the regulator for each individual installation. The Vortec 787 keeps the control panel interior slightly above ambient pressure and produces enough cooling to mitigate the internal and external heat loads. Installation and set-up is simple and the 787 takes up a fraction of the space on the panel that the Freon air conditioner occupied. Since then, the manufacturer has retrofitted all their existing installations with the 787 Vortex Enclosure Cooler and specifies it exclusively on their new control panels.